ChaseChat - Forrest Fenn's Forum - Feild Report. ChaseChat - Forrest Fenn's Forum > Forum > Wyoming > Feild Report. 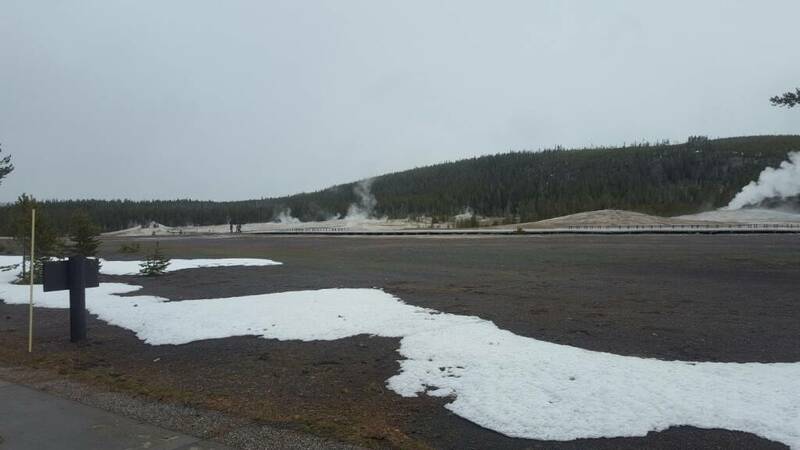 West Yellowstone through North Entrance and down to just south of Old Faithful is open. The Madison river Canyon is about %90 clear of snow. Once you head past Norris towards Mammoth you will get to some parts with about 50% clear of snow. All the roads are fine and clear of snow. While we were dealing with mild flurries that turned to water on contact with any surface, no stick. The upper park and North Entrance were severely different. 3 miles into the park from the North Entrance and it was 55° very sunny and warm with some white clouds floating by. All in all, if your area is open; you are good to go! Chief Joseph Hwy,But still closed over the pass. I will be arriving on the 5th of June. What do you guys think of this, loosely quoted," I have not been back since 1950"? I have read TFTW but not recently. For the last couple of days the TV news has been telling us to stay away from Chief Joseph Hwy because it falling down the hill...too much moisture. Where are you going to be om the 5th? PM me if you'd like my # so you can text me. For the others, we will be having a lot of flooding in various parts of the state, be sure to check your area before you travel. Any questions, PM me. Not Really. It is not required, others in my group have.